You can customize all objects with colors, names, and measurements. We also produce your own idea. The service offered has a 40% surcharge on the sale price. 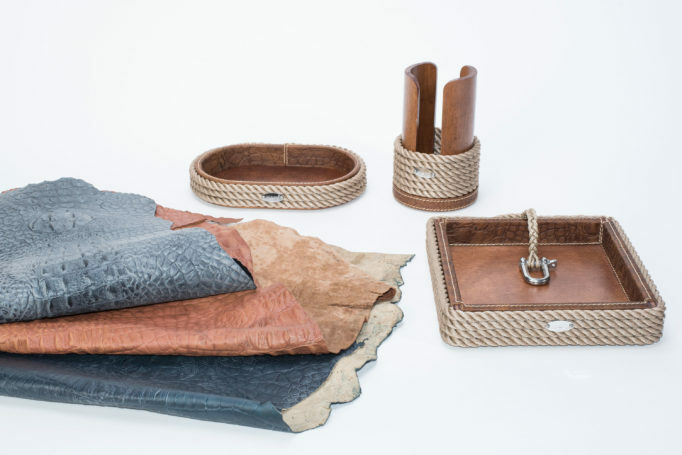 For the most demanding we offer the possibility to choose the leather cover for all objects with crocodile mold, available in the three different varieties, such as blue, beige and gray. The service offered has a 50% surcharge on the sale price.